Family financial planning is simply trying to prepare your family to meet future objectives while living comfortably in the short term. It involves a lot of careful analysis and judicious allocation of resources both now and in the future. 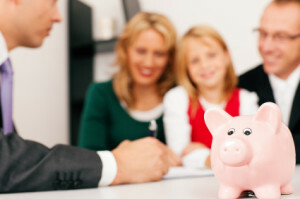 A family financial planning has many advantages and all families should be practice it. A solid financial plan provides a solid footing for you and your family as you go about your daily lives. What Should Be Included in a Family Financial Planning? Family financial planning is not a one-man affair. The whole family should be included in this process. You should also take into account the responsibilities, goals and dreams of each family member as well as the resources that you have to work with. An appropriate medical cover for the entire family. A retirement package for the parents. A fund to secure the children’s education. A provision for home ownership. You can form other financial goals around these critical elements. It helps you to save a lot of money. The careful allocation of financial resources in the home leads to better use of money. Your family will become more conscious of how money is spent. You will therefore reduce the wastage of money that is usually associated with a carefree and unaccountable spending environment. You will have more money for your retirement, children’s college fund and health insurance. You can even save up for family vacations when you have secured the critical elements of a family financial plan. It adequately prepares you for the future. You and your family will be secure in case of any economic crisis such as the world financial meltdown witnessed in 2008. You will not have to worry about financial uncertainty since your family will be financially stable. Family financial planning also takes in account the dreams and aspirations of everyone in the family. It puts everything into perspective and drives these perspectives forward. It helps to create harmony and a good sense of direction in the family. Your family will appreciate the fact that you are building a stable foundation for them to prosper and build an even greater future for themselves. As mentioned earlier, family financial planning is an all-inclusive activity. It cannot be successful without the cooperation and support of your entire family. You must gain this support through inspiration. You must assure each and every one in the family that their goal has been taken into account. It is not necessary that their goals be a priority as they would prefer but it is necessary to recognize that their goals do exist. Your family financial planning should be realistic. Your plan should take into account the available resources. Ensure that you and your family use these resources carefully. Emphasize the potential payoff that is likely to occur if your family you and your family use your resources wisely. Finally, it is also important that you brush up on your family financial planning skills. You can do this by browsing our website and learning more about financial prudence. If you have any questions for us on family financial planning then please do not hesitate to contact us.